Like most other inland European cities, Warsaw is built around a large body of water, straddling the sparkling Vistula River. 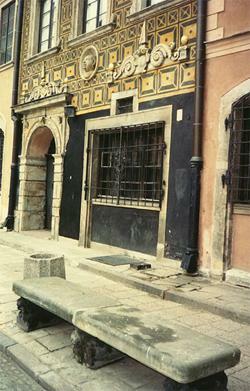 The small fishing town was first fortified as a Masovian stronghold in the early 14th century. Compared with the histories of its pre-Roman Polish neighbors, the city of Warsaw is practically a fledgling on the grand timeline of human settlement in the region. However, it did not take long for Warsaw to become the center of the Poland-Lithuanian Commonwealth and soon thereafter the capital of the (periodically) independent Poland nation until present. Warsaw is far more inspiring for what has come and gone in the city limits and in the minds of the people than for the physicality of the city today. Warsaw has been destroyed and rebuilt more times than fathomable in its brief history. No other European city experienced quite as extensive horrors and bombardment during World War II from Nazi (and Russian) forces than Warsaw. Over 80 percent of the city was completely razed, including the Old Town and Royal Palace, and nearly 800,000 citizens perished. Though many important buildings were restored after the war, the city has lost much of its Baroque luster and instead has grasped on to the modern era of post-communist art and architecture. The invaluable history is well documented in the immaculately maintained museums and exhibits while, outside, the commitment to present and future life is clearly a driving force in Warsaw’s working gears. Travel to Warsaw to marvel at its graceful execution of eclecticism. The visible stratification of decades in time is embodied by the rotating façades of building structures. Art-Deco and elaborate Modernist office buildings of the 1990s independence era rub shoulders with giant stone-slab housing complexes built during the chilling post-war Communist period, and somewhere in-between, old Baroque-style manors and museums accent the amalgamation. Many tours lead in and out of these fascinating buildings and locations. Take the Memorial Route to the Struggle and Martyrdom of the Jews 1940-43 through the former Jewish District, which was transformed into a ghetto and then obliterated in WWII, and pass 16 commemorative granite blocks representing significant people, places or events. Just south of here visit the tallest skyscraper in Poland, the triumphant Palace of Culture and Science, a gift from the Soviet Union in the 1950s. Although it was destroyed per Hitler’s orders, the restored Royal Palace in Old Town should also be visited. Much of the grand residence has been returned to its 18th century splendor, complete with a museum of the salvageable works of art. Much of Warsaw’s grid-like structure is rife with greenery. Warsaw University hosts a magnificent Botanical Garden and the south of the city is just the beginning of the enchanting Kabacki Forest. Travel to Warsaw to experience all of the joys of the big city, but with a uniquely Polish twist. 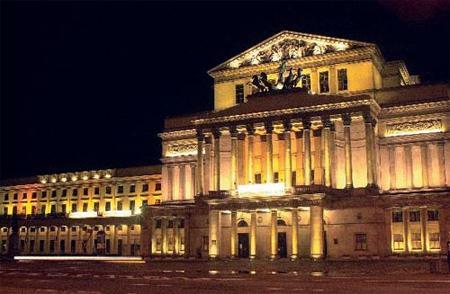 The city is not only the seat of the National Opera and Philharmonic, but also jamming with jazz clubs and music bars. Come seek out the nuanced history in Central Europe’s staggeringly modern metropolis. 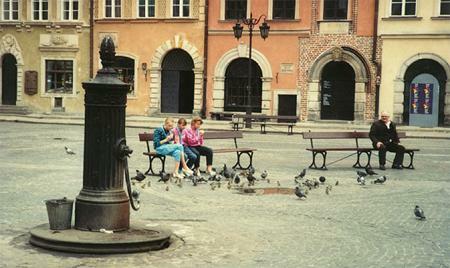 For more information on international travel and discount airfare to Warsaw, visit www.cfares.com, your source for cheap airfare on the web. How can anyone possibly talk about Warsaw without mentioning Chopin! Every Sunday during summer there is a piano concert in Lazienki Park, Warsaw, celebrating this incredible composer's life and music.